Bella thinks she imagines Edward in her bedroom while she is half asleep. I own nothing. Sigh. I hope you enjoy! Reviews welcome! Takes place in Twilight; no specific place, although it is before Bella is aware that Edward is a vampire. She is as of yet unaware that he watches her sleep. This is Bella’s POV. Bella’s dreams and her reality intertwine. What if there was a game all around you? What if your life was thrown in a game you just can't win? Could you get out without hurting the ones you love most? Life is just a game and if you're not prepared, game over. Emmett makes an interesting observation about Isabella Swan. What if Bella wasn't James' only target at the baseball game? Meet Ashton, another Cullen. Late one night, Edward has an urge to draw a beautiful picture. Little does he know where this one slight impulse will lead him. A phone-call from Tanya in Denali changes everything for our favourite vampires. Set just before the start of Twilight, this is the story of Carlisle's biological daughter and her impact on the Cullens. All recognisable characters belong to Stephenie Meyers. Sarah Cullen is my creation. Bella gets a chance to reinvent herself when she moves in with her dad in Forks. Rated M for lemons in later chapters. AU/AH. Eventually B&E, but first there will be some B&J. Poor Bella has a lot to learn. The awesome banner was made by HeavensImmortal. Thanks, girl! What if Edward wasn't single when he met Bella? Will he stay with his mate out of loyalty and obligation or will he take a chance and pursue true love? AU for the first book. I had always viewed my existence since changing into a vampire as being like a starry night; mostly darkness but with a few scattered bright spots. I had thus far only been able to escape the tedium and misery of this life with a modicum of sanity due to the rare occasions that I was able to make my mate happy. That was before. Before the Gods of Fate had intervened and made a mockery of my existence, chewing it up and spitting out the pieces. Before Bella Swan had moved to town and I proved unable just to leave her alone. Before my relationship with my mate violently combusted in an act of sadistic pleasure. Now, the storm clouds had rolled in and blocked out all the stars, and my life was a grey, depressing mess. Rated for some swearing and lemons later on. The last six chapters, in addition to the epilogue, of Twilight from Edward's point of view. From the arrival of James to the prom. Within a moonlit meadow, the ultimate danger lurks. 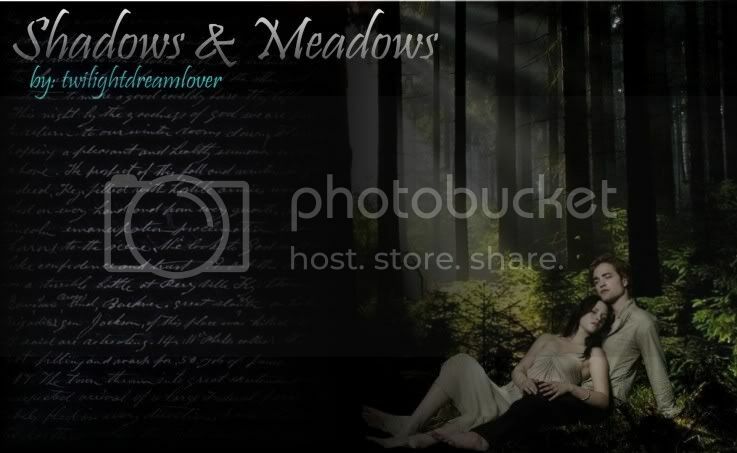 Shadows in time, Edward and Bella face an unpleasant truth that may change their destinies forever. An entire world shifts as lives change, over and over, in the unpredictable currents of time. It all begins in Forks, under a typically cloudy sky, when Bella gets tired of waiting yet another day for Edward to show up for school, and decides to take matters into her own hands. This is an alternate universe story. Canon pairings are adhered to. After Bella's near-miss with Tyler Crowley's van, Edward and Bella both walk away with more questions than answers. In this universe, nothing is as it seems, and Bella wasn't the only one who received a surprise that day. Seeking to escape a dangerous memory from her past, Bella moves to Forks her junior year with every intention of getting a fresh start. With a little self-assurance and a whole lot of attitude, she shakes things up at Forks High without even intending to. When a mysterious new student turns her world upside down, will Bella have the strength to resist him, or is she destined to repeat her old mistakes? Will he be able to save her when the past catches up with her? Jasper has a secret he's never told any of the Cullens. Bella's just arrived in Forks and has a secret that is thousands of years old. Can mythology handle both creatures? Future lemons! The day Bella went to the Cullens’ home for the first time. Starting at Chapter 15 of Twilight from various Cullen perspectives. This story is the behind the scenes look at the day Bella met the Cullens. What did they think and what went on where Bella could not see them? 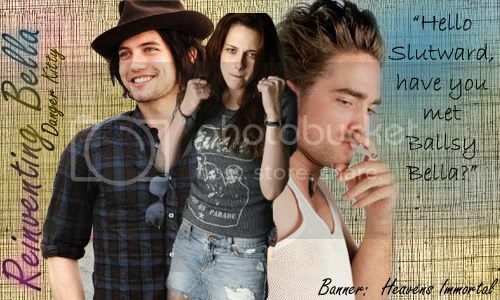 Carlisle’s POV, Esme’s POV, Jasper’s POV and Emmett's. Now that school is out for the summer, Edward and Bella are more than happy to spend all their time together. Unfortunately, Charlie has other ideas. Bella and Edward find that they share a common love before they fall in love with one another. Edward goes to watch Bella sleep as he does every night, when he spies her doing something naughty. He decides to join in on the fun. Raina Durham hates boring, rainy Forks. But everything changes when she befriends Bella Swan, and encounters a certain vampire who needs her help, along with a certain werewolf. But will things change - and is Raina human, or...something else? Bella’s older half sister, Karmen, comes to Forks, hiding a dark secret. A secret that is so dark that if anyone found out there is a possibility that her life would change more than it already has. Alice Cullen has been having visions involving her brother, Edward, and his soul mate for the last five years and yet he refuses to believe her. Her last vision brings the Cullen's to Forks, Washington and Alice knows that the girl in her vision is there. Bella Swan has been plagued with strange dreams and nightmares for the last five years, causing her to develop a small case of insomnia. She has grown tired of her friends and her boyfriend. She views her life as boring. Then the Cullen's arrive. Edward wants Bella more than life itself. At first it was just her blood but now it is so much more. He knows he should leave but his family won't allow it. He wants to believe Alice when she tells him he won't hurt Bella, but the monster inside him says differently.